Harry Kane’s hat-trick against Southampton led to him breaking Alan Shearer’s record of most Premier League goals scored in a calendar year and becoming the leading goal scorer across Europe’s top five leagues for 2017. Not bad for a man I had dismissed as being ‘utterly sh*te’. Kane’s short-lived loan spell at Norwich was sealed during the last minutes of the 2012 summer transfer window; a favour to Chris Hughton, owing to his close links to Spurs. The 19-year old Kane went on to start just one league game and was a substitute in two others before injury cut short his stint in Norfolk. A spell that was epitomised in the goalless draw at home to West Ham when, with only the keeper to beat, he shot tamely wide. My scathing assessment of Harry and the scorn I poured on Hughton’s judgement at the time, serves as a reminder that sometimes our opinions – just like Kane’s shot – are well wide of the mark. Human nature dictates that it’s far more common to triumph the tales of ‘I told you so‘ rather than ‘I got that completely wrong’, as witnessed by the small-printed apologies that appear somewhere on page 37 of a tabloid retracting a previous headline story. As football fans, we tend to hang onto our beliefs regardless of what transpires on the pitch. For example, there is a person who sits near me in the Upper Barclay who has harboured a deep-rooted disdain for everything ‘Cameron Jerome’ throughout the striker’s City career. If our number 10 scores a goal, he ‘should’ have had two. If Cam puts a cross into the box, then he ‘should’ have been on the end of it too. Global warming and the collapse of the Pound? You know who’s to blame. But here on MFW, we pride ourselves on our honesty and ability to hold our hands up when we call it wrong and, as if proof were needed that I generally haven’t got a clue what I’m on about, here are just a few of the opinions that I’ve committed to print in the past, which have come back to bite me on the backside. Having served up a series of fairly downbeat and morose pieces, I guess it’s an attempt to bring some much-needed positivity to my column. 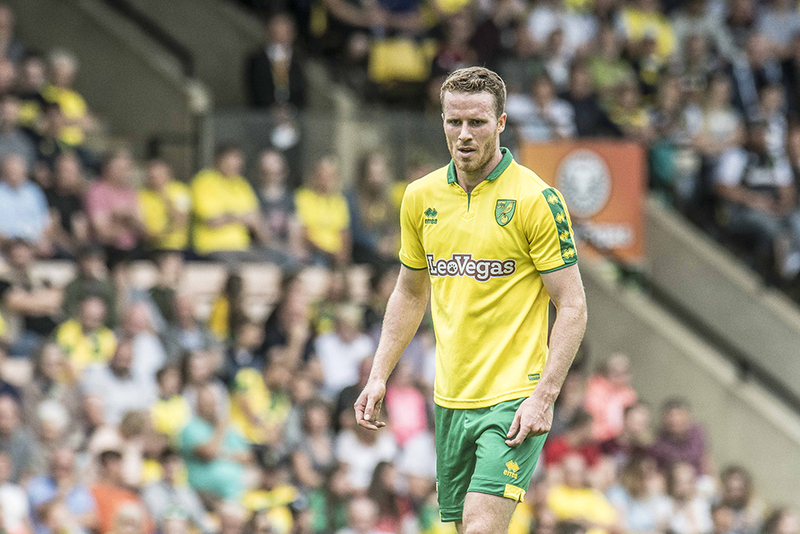 In recent articles, I’ve found reason to put the boot in on the likes of Marley Watkins and Mario Vrancic and whilst I’m not saying that we’ve got two future hall-of-famers on our hands, maybe (just maybe), given more time to settle and gel, then the squad could come together. Maybe, instead of writing off players, we should put faith into the fact that every day, Farke and the current squad are busting a gut on the playing fields of Colney to give us what we all want: a team that translates that effort into performances and results on the pitch. From what we’ve seen so far, this season might not fill us full of confidence, but it’s possible that one or two of our ugly ducklings might turn out to become swans. Just look at Harry Kane.
? We had him on loan, we had him on loan, but he was rubbish, and we sent him home. ? Darren Huckerby – confounded both me and his agent Phil by signing for City on Boxing Day in 2003 and became my favourite ever City player. (However, I still maintain he was ‘way too good to sign for us’). Wesley Hoolahan – signed to replace my favourite ever City player and was the real ‘diamond’ in Paul Lambert’s diamond formation. Currently in his 10th season at Carrow Road and will surely be considered an all-time City great. Iwan Roberts – returned for his second season looking leaner, sharper and lethal, going on to score 84 goals for Norwich, placing him 4th on the all-time list of goal-scorers. Ricky Van Wolfswinkel – a genuinely lovely bloke with model good-looks and a reputation as one of Europe’s most promising strikers. I finally conceded it was not to be when he performed the infamous ‘ghost pass’ at Craven Cottage on our way to relegation. Bradley Johnson – weighed in with 15 goals from the left side of midfield and was the player of the season in 2014/15, as City won promotion to the Premier League. But joking aside, I’m still undecided on Watkins, Vrancic and Husband. There’s been slight flashes from Vrancic but his playing style is suited to a league where you have more time on the ball and the man is built like a twig, hardly appropriate for the Championship. Watkins and Husband have offered nothing to suggest they’ll bloom. Watkins is a hustler up front, a defensive attacker if that makes sense, bought on in the 80th minute to contain the opposition’s defence from playing it out from the back and harry them into making mistakes for another member of the attacking mid to gain from. Other than that, he’s not a show boater and bar that blast in the Brighton friendly he seems to dally when attempting a shot. Husband isn’t anywhere near the level expected of him. Again moments of adequacy but that’s just not enough, not enough for a team playing for a top 6 place anyway. But in fairness to him, he’s a better left-back than Stiepermann. They are what they are, utility players. But ones that detract from the current starting 11 when required. Unfortunately, and we all know this, money buys you a 22 which you can switch from week to week without major dips in quality. Personally, I can’t see any of those three getting much better than they are. Disclaimer: I will of course eat my hat and you can quote any of the above in a future article if they become world beaters! You’ve reminded me that a few years back as a student in Nottingham I went to one of Steve Bruce’s first games. We lost 3-1 and I stated that Bruce was too slow and wondered why we’d bought a donkey! I’d better go easy on Vrancic. I feel sorry for Husband, people should go easy on him and remember he was out injured fur a whole year when we signed him, so not only did he have to regain his match fitness but also his form too. Ok, that dive v Burton was inexcusable but he was superb against Arsenal and particularly Walcott, whom he shut out of the game. Vrancic was superb v Arsenal too (glaring miss aside). However, I’d trade both of them for a decent striker right now….